The concept of a “Dental Home,” is the ongoing relationship between a dentist who is the Primary Dental Care Provider, a child patient and their family. It includes comprehensive oral health care, beginning no later than age one. Establishing a Dental Home means that a child’s oral health care is managed in a comprehensive, continuously accessible, coordinated and family-centred way. The concept of the Dental Home reflects best practice for the optimal delivery of oral health care to all. 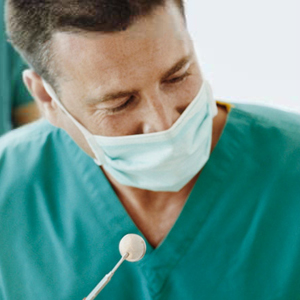 In a Dental Home, there is an emphasis on starting preventive oral health care during infancy. An infant oral health examination is simple, easy and effective. Babies and infants don’t have to get up on to the dental chair. There’s plenty of time for that later. They can sit happily on your lap for the first few visits. Your Dentist will get you to tip them back for the check up, then you can lift them up again for a cuddle. The age one dental visit provides the opportunity to start effective preventive care and lays the foundation for oral health in later life. Additionally, the establishment of the Dental Home assures appropriate referral to dental specialists when care cannot directly be provided within the Dental Home. Tooth decay can have serious implications for a child’s long-term health and well-being. Early preventive care is a sound health and economic investment. The dental costs for children who have their first dental visit before age one are 40 per cent lower in the first five years than for those who do not see a dentist before their first birthday. Early Childhood Caries can be prevented by early professional dental care including caries-risk assessment, anticipatory guidance, and periodic supervision. Without proper care, the impact of tooth decay on child development can be significant. Childhood cavities have been linked to lower than ideal body weight, pain, infection, and lost time in school. The effects of poor oral health may be felt for a lifetime. How can dentists make a difference? By incorporating the age one visit and infant oral health examination, parents and dentists can team up to help prevent early childhood caries and lay the foundations for optimal oral health throughout life. First visit by the first birthday. A child should visit the dentist within six months of the eruption of the first tooth or by age one. Early examination and preventive care will protect your child’s smile now and in the future. Dental problems can begin early. A big concern is Early Childhood Caries (also known as baby bottle tooth decay or nursing caries). Children risk severe decay from using a bottle during naps or at night or when they nurse continuously from the breast. The earlier the dental visit, the better the chance of preventing dental problems. Children with healthy teeth chew food easily, are better able to learn to speak clearly, and smile with confidence. Start children now on a lifetime of good dental habits. Encourage children to drink from a cup as they approach their first birthday. Children should not fall asleep with a bottle. At-will nighttime breast-feeding should be avoided after the first primary teeth begin to erupt. Drinking juice from a bottle should be avoided. When juice is offered, it should be in a cup. Thumb sucking is perfectly normal for infants; most stop by age 2 and it should be discouraged after age 4. Prolonged thumb sucking can create crowded, crooked teeth or bite problems. Dentists can suggest ways to address a prolonged thumb sucking habit. Parents should ensure that young children use an appropriate size toothbrush with a small brushing surface and only a pea-sized amount of fluoride toothpaste at each brushing. Young children should always be supervised while brushing and taught to spit out rather than swallow toothpaste. Unless advised to do so by a dentist or other health professional, parents should not use fluoride toothpaste for children less than two years of age. Children who drink primarily bottled water may not be getting the fluoride they need. From six months to age 3, children may have sore gums when teeth erupt. Many children like a clean teething ring, cool spoon, or cold wet washcloth. Some parents prefer a chilled ring; others simply rub the baby’s gums with a clean finger. Parents and care givers need to take care of their own teeth so that cavity- causing bacteria are not as easily transmitted to children. Don’t clean pacifiers and eating utensils with your own mouth before giving them to children. That can also transmit adults’ bacteria to children. Parents and other care providers should establish a Dental Home for every child by 12 months of age. Interaction with early intervention programs, schools, early childhood education and child care programs, members of the medical and dental communities, and other public and private community agencies to ensure awareness of age-specific oral health issues.